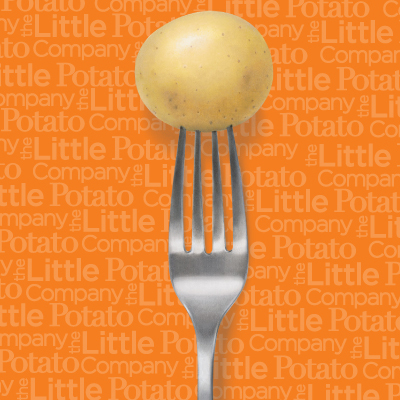 Little Potatoes are versatile and pair with many classic ingredients. And that’s why they’re a kitchen staple in every discerning chef’s kitchen. That said, there are certain foods, herbs and spices that bring out the best of their earthy, buttery taste and silky texture—similar to pairing fine wines with foods that complement. Here are some of the very best ingredients to pair with Creamer Potatoes and elevate a dish from pleasant to superb. You might be surprised just how well the flavors harmonize in these popular recipes! Mild and sweet Little Potatoes are the perfect foil for spicy, nutty arugula—a leafy green packed with nutrients. As soon as tomatoes come in season, make Potato Caprese Salad for a bright, fresh main or starter salad to accompany an Italian-style entrée, such as pasta or herb-roasted chicken. This Italian favorite spotlights juicy tomatoes, combined with fresh mozzarella, arugula, our Microwave Ready Garlic Parsley for added convenience (this dish is ready in 15 minutes, too! ), sweet red peppers and julienned fresh basil. Chefs love the astringent tea-like scent, piney flavor and aromatic oil of rosemary, a Mediterranean evergreen shrub and popular culinary herb since 500 BC with the ancient Greeks and Romans. A natural potato enhancer, it’s delicious in casseroles, salads, stews and with poultry, oily fish and game as well. A little goes a long way, so use this powerful, slightly bitter herb sparingly. Make Perfect Herb Roasted Potatoes to complement any grilled or roasted protein entrée. Farm-fresh eggs make a tasty backdrop for a potato-veggie medley. Buttery and fluffy when scrambled, eggs also marry well with Little Potatoes, which add substance and texture. 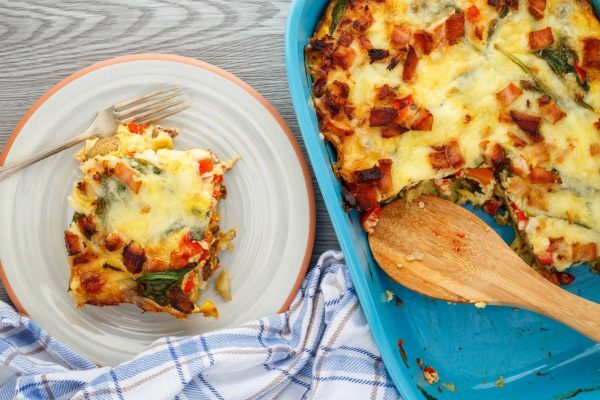 Whip up this easy Overnight Breakfast Casserole on Saturday evening to star as the colorful main event at your Sunday brunch. Just mix together the ingredients, pour into a casserole dish and refrigerate. Then bake in the morning and serve warm from the oven. Or, make it on Sunday night to take the stress out of weekday breakfasts and ensure you get a healthy start to the day. This dish includes another top potato partner: cheese. It’s fair to say the fatty richness of butter makes everything better, and in particular, it amplifies the naturally buttery flavor of Little Potatoes. Browned butter lends depth and complexity to Boursin Cheese Mashed Potatoes, much more interesting than the usual version, thanks to the addition of soft French shallot and chive Gournay cheese. Whether sharp, mild, crumbly or gooey, cheese is a natural partner for potatoes. 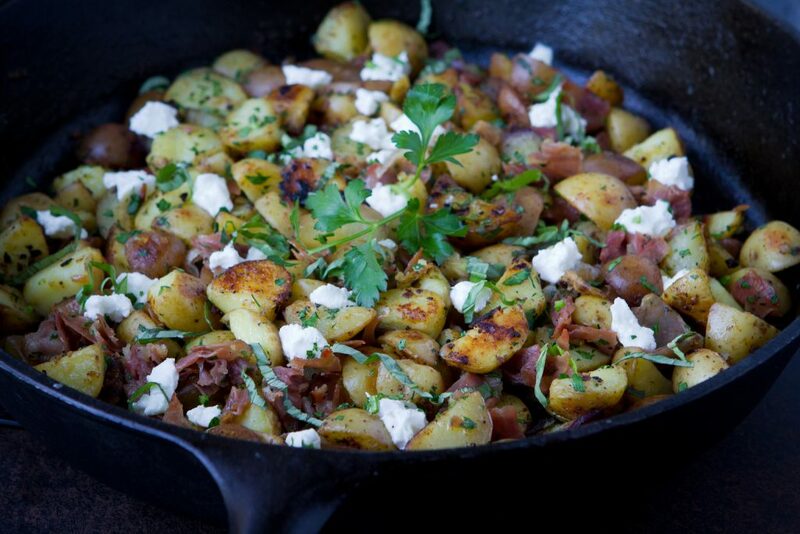 Here are a few perfect pairings: Healthy Potato Hash with Prosciutto and Goat Cheese for breakfast or brunch, Pesto Caprese Potato Skewers with fresh mozzarella for pretty appetizers or salad entrée, and colorful Garlic Parmesan Scalloped Potatoes and Carrots for a filling dinner side. This one? Classic. Cooks have known for a long time that the juicy, salty, slightly gamey umami of grilled or roasted meat melds beautifully with mild, silky potatoes. Grill up a steak and serve with Creamers any way—a guaranteed hit every time. 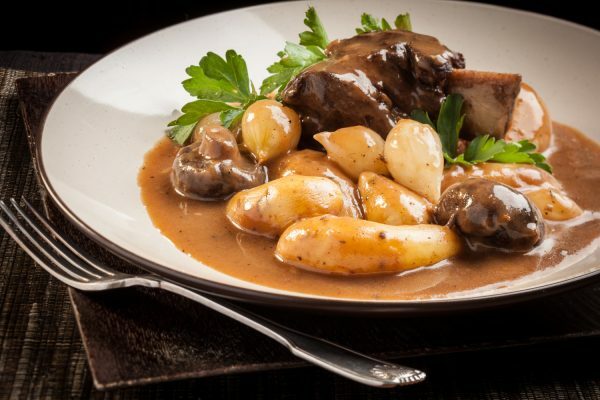 Or serve Beef Short Ribs with Fingerlings, a hearty late-winter comfort dish doused in rich gravy accented with aromatic thyme and mushrooms. Fragrant thyme, slightly minty and subtle, often goes into soups, stuffing, chicken and tomato dishes, but its gentle flavor melds wonderfully with Creamers, too. 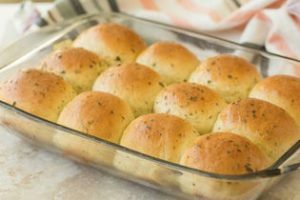 Try Garlic Herb Potato Rolls for a savory twist on plain dinner rolls. Guests will love these soft, airy rolls, herbed with thyme, basil and parsley. 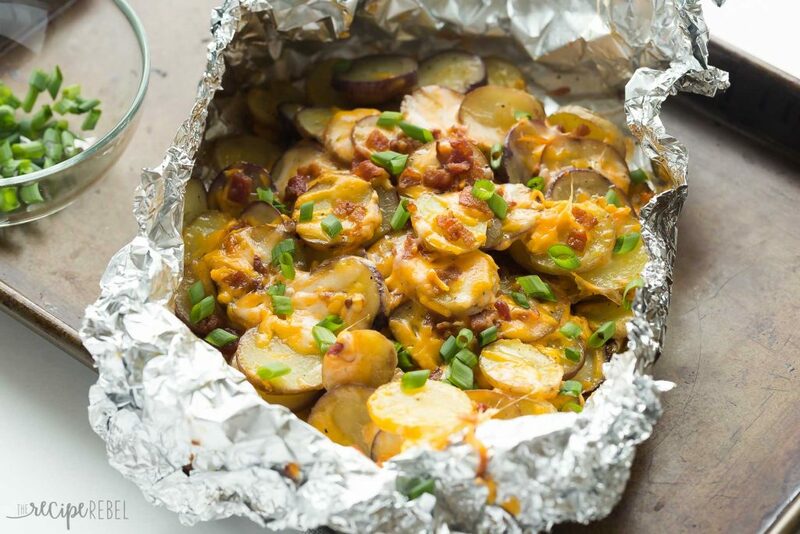 Smooth, substantive Little Potatoes soak up the smoky flavor of bacon and offset its crispy goodness. Prepare green-onion-garnished Cheesy Grilled Potatoes with Bacon alongside barbecued steak or chicken burgers for your next casual BBQ party so you can spend time chatting with your guests instead of slaving in the kitchen. Just layer the ingredients into foil and set on the grill. Clean up is non-existent! Dijon mustard has a pleasing vinegar tang nicely offset by Creamer Potatoes’ earthiness. A traditional condiment often used in dressings and rubs, Dijon is ground brown mustard seeds combined with white wine, salt, and spices. Lentil Nicoise Salad includes this favorite while adding one of today’s top super foods, lentils. 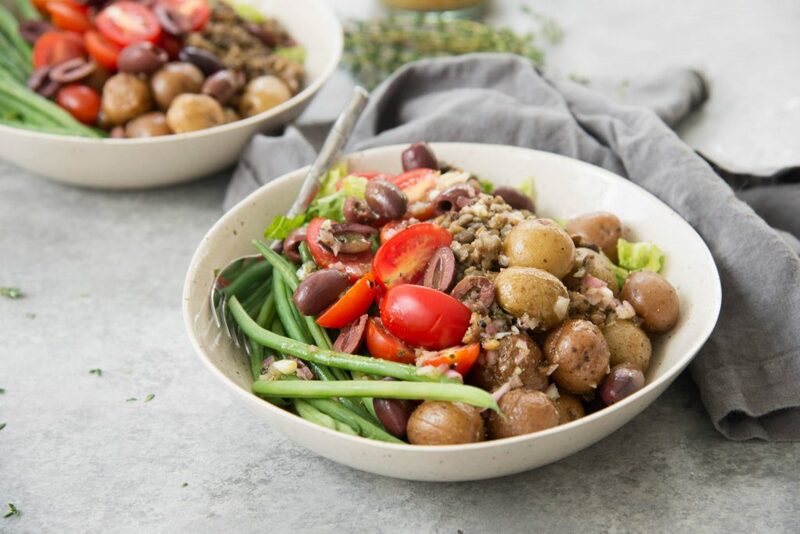 A vegan twist on the classic French salad, it’s loaded with flavor and crunch, thanks to crisp green beans, briney olives, and a puckery red wine vinegar-shallot-Dijon vinaigrette. Serve it as a light spring entrée with a side of crusty baguette and a fragrant chilled white wine. Consider trying this other outstanding option: Red Kale and Potato Salad with Lemon Maple Dijon Dressing.